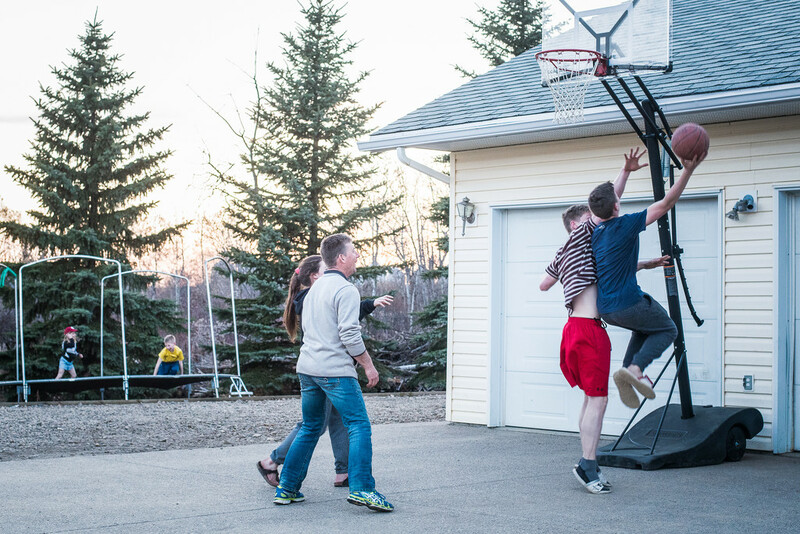 An unposed picture of some after dinner Easter fun at the Gabrielson house. I wanted to get the basketball players as well as the trampoline jumpers in the frame. I love nights like this!